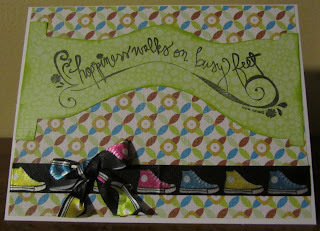 I used some butterfly paper as a background with a couple of spellbinder dies. I stamped a small mouse trying to be a ballerina. I computer printed an appropriate saying "Dance like no one is watching". I have several friends who are shut ins and I thought this might cheer them up. I made this card for my sister and her husband when they went to Panama Beach with her daughter, son-in-law and grandchildren. I used Forever Young Cricut Cartridge and cut her at 7 and 1/2 inches. It was about 9 and 1/4 inches tall and 4 inches wide and would fit into a business envelope. 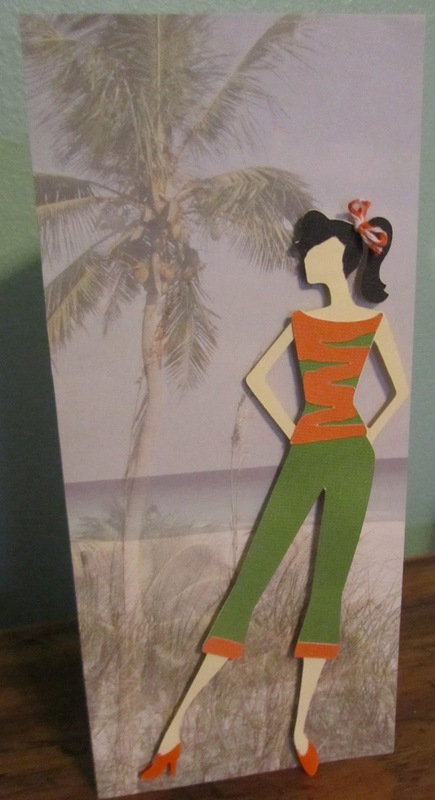 If found a US travel paper pad by Paper House Productions and used a Florida scene. I made this card for my sister. We have a French heritage and she has always wanted to go to Paris. I used Forever Young Cricut Cartridge and cut her at 7 and 1/2 inches. 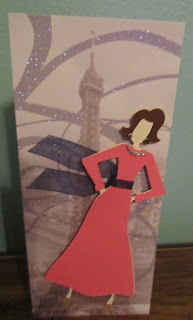 I found a paper pack of European scenes by Paper House Productions and used some embellishments for earrings and necklace. 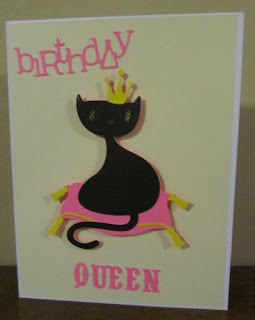 The card was made to fit a business envelope so it was about 9 and 1/4 inches tall and 4 inches wide. It was so much fun. 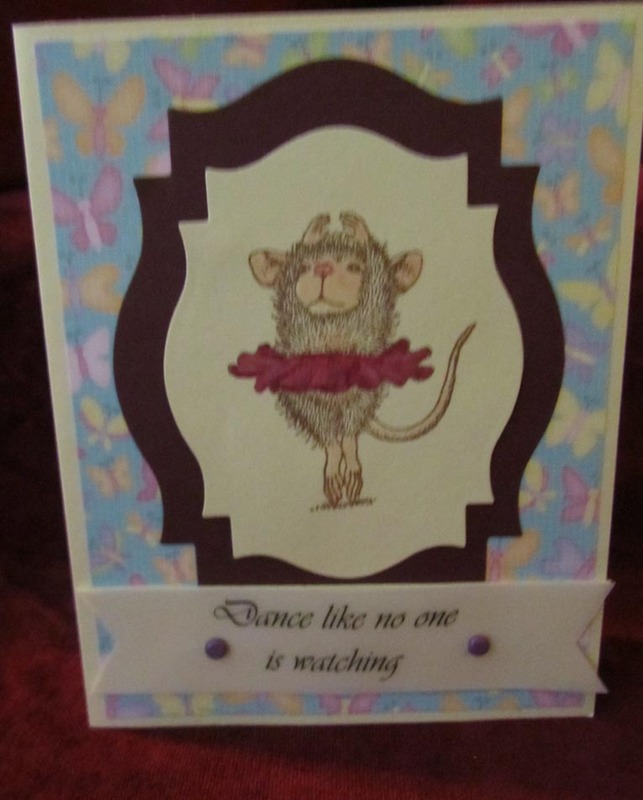 I created this card for Ruth's 19th Birthday. I don't have any Hello Kitty items to work with but I know that this girl has BUSY FEET and will be going places fast. HAPPY BIRTHDAY! BIG BIRTHDAY BASH for Cathy! I used the MEOW cricut lite cartridge for this cute Kitty Queen. Happy Birthday Cathy! Go to http://disneydreamerdesigns.blogspot.com/ for lots of Disney projects. 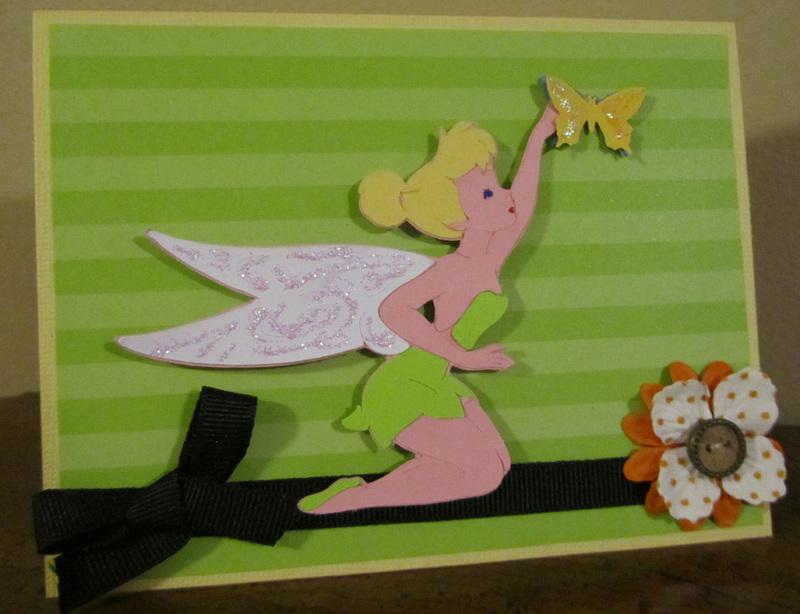 I used Tinker Bell & Friends cricut cartridge. She is so dainty but so magical. I need more practice on her but she is so much fun. 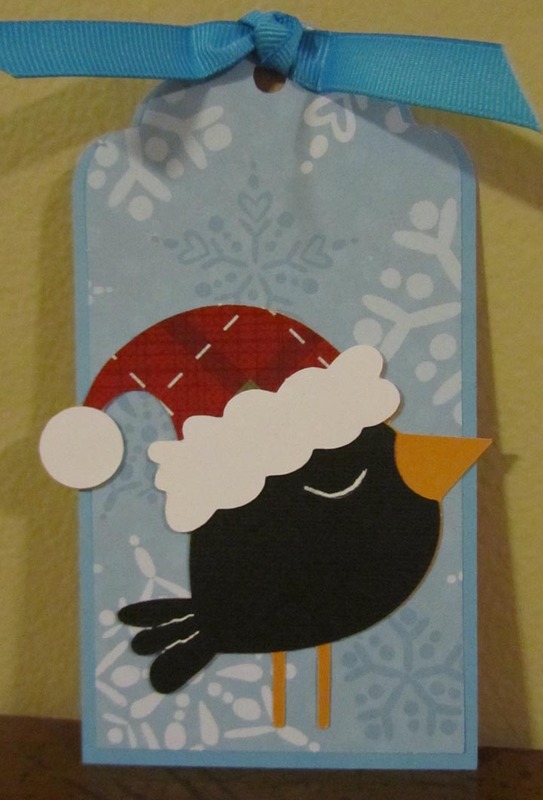 I used Jolly Holidays cricut cartridge to make this Christmas tag. I cut the blackbird at 3". The tag is cut 5 1/2" from Tags, Bags Boxes & More. My pattern paper is cut at 5 1/4". 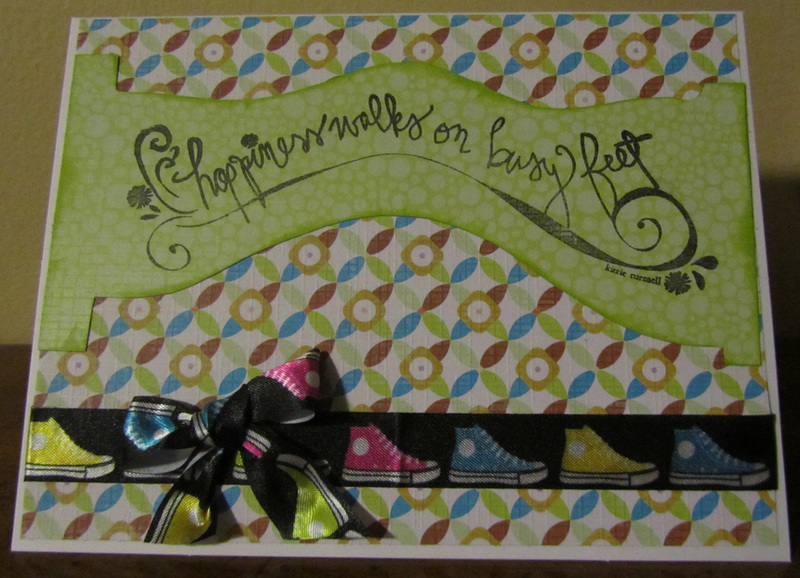 I stamped "To and From" on the back with a stamp from Scrappy Moms stamp set Everyday Greetings.